The LiveLagoons project aims at improving the water quality in eutrophicated lagoons in the South Baltic by the use of innovative floating wetlands for nutrient removal. There are many attempts to use mussels or algae cultivation for nutrient removal in the South Baltic area. However, due to low market value of cultivated products, these developments typically end in the initial stage of demonstration studies and are neither sustainable, nor replicated in other than pilot areas. On the other hand there are commercial applications called ‘living barriers’ (e.g. 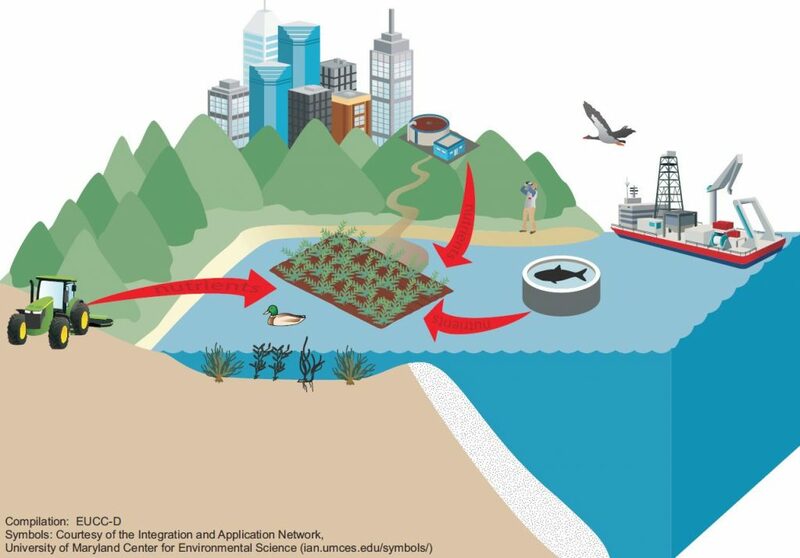 BioHaven®, Biomatrix®, AquaGreen® or Beemats®) aimed at both restoration and rehabilitation of coastal habitats and local enhancement of water quality by nutrient absorption and removal. 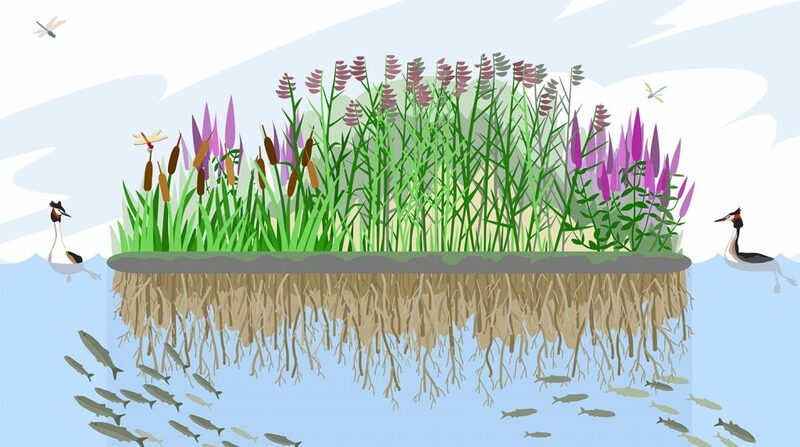 These ‘living barriers’ are floating islands planted with native emergent macrophytes such as Iris pseudacorus (yellow flag), Lythrum salicaria (purple loosestrife), Phragmites (reed) or Carex (sedges). The target is to improve water quality and create bathing conditions inside the South Baltic lagoons, where at normal conditions algal blooms and sediment resuspension prevent recreational bathing. We also plan to link these applications to nutrient quota trading – mechanism for connecting effective nutrient abatement measures with voluntary financiers willing to acquire nutrient offset, relevant for the small coastal communities (especially in cross-border lagoons) pressed for the increased removal of nutrients through the municipal wastewater treatment plants, which are facing operational problems due to sharp fluctuations of population (a tenfold increase during the summer season). Our envisaged results include small scale local improvement of water quality, but, most importantly, increased awareness of local stakeholders interested in water quality and tourism (municipalities, PA administrations) and innovations (SMEs) of our tested technological applications. Funded by: Interreg South Baltic Programme 2014-2020, the Programme uses resources from the European Regional Development Fund.